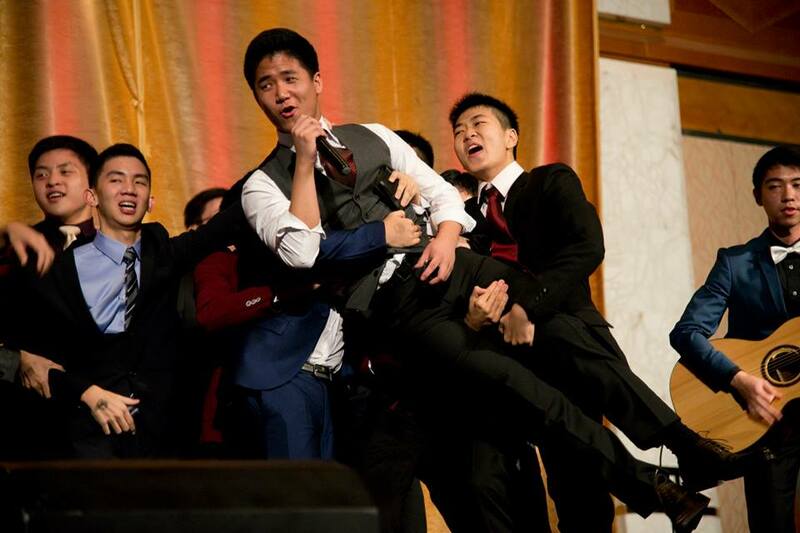 To any outsider, Grad Night 2014 may have appeared to be any other school formal, with glamorous girls and bespoke boys, cameras flashing all night long, live school bands playing their hearts out, and endless photos taken under the high ceiling of the Fairmont Ballroom at Swissotel. Yet the night was fraught with bittersweet reminiscence for many, for graduation brings as much excitement about what is yet to come as it does nostalgic happiness, or alegria – the theme of the night and the prevailing sentiment throughout the evening’s events. The night began as all prom nights do – fashionably late, with everyone dressed to impress and pulling friends into photos every chance they got. 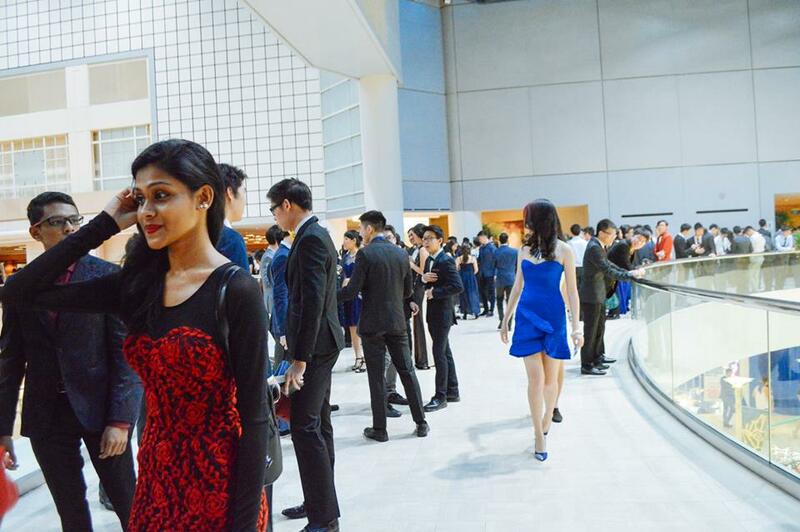 Although everyone dazzled in tailored suits and fitted frocks, we spotted a few particularly well-dressed individuals, each featured here. 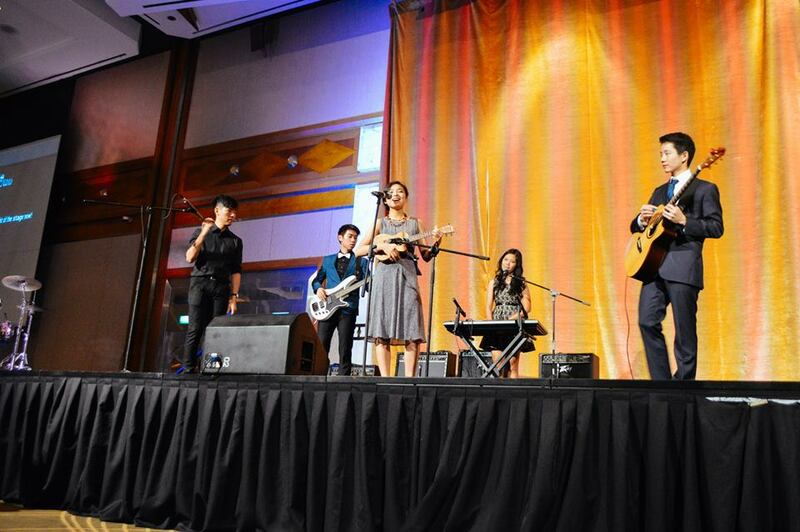 A steady stream of photos continued to be taken as the Year 6s trickled into the ballroom to the familiar strains of We The Kings’ hit song “Check Yes Juliet”, as performed by Y5 members of Raffles Rock. The atmosphere was relaxed and even after most had been seated with the friends they had chosen to spend this final JC highlight with, people continued to mill around while the programme commenced proper. Pageant nominees first strutted their stuff in a catwalk segment before taking the stage for self-introductions and a brief beauty pageant-style Q&A segment, answering humorous questions such as “What do you think your best physical feature is?” with tongues firmly in cheek. While waiters brought out the entrees for the night, the Dance King and Queen nominees began their efforts to win their batchmates’ votes with their smooth moves and quirky personalities, which showed through in their choice of dance music and choreography. 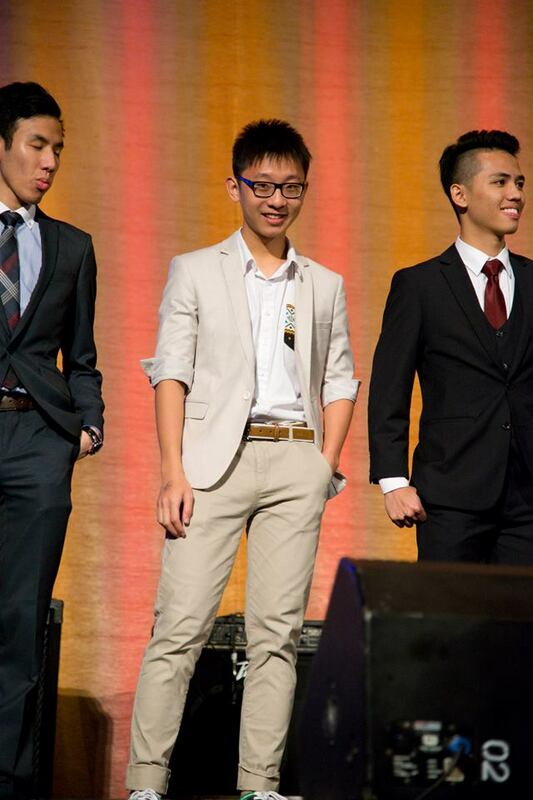 Simon Tang used the Pokemon theme song to much cheering, while Tyronne’s routine centred around the theme of love and briefly featured Dance Queen nominee Aye Aye Mon. 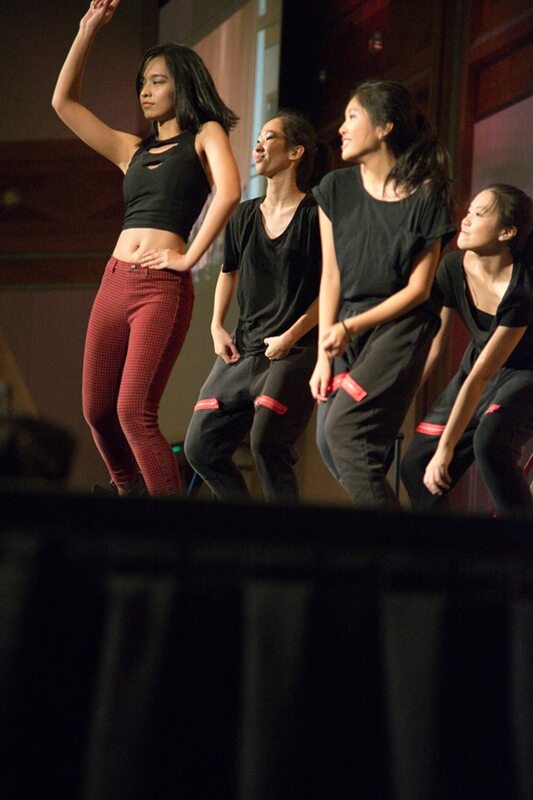 Aye Mon in turn performed a sultry hip-hop routine with backup dancers from Street Dance, while Tan Min Ting turned the tables with an adorably amusing dance iteration of the hit Kpop song Bar Bar Bar, performed with her fellow CCAD committee members. Each contestant’s dance routines drew catcalls and laughter alike from their batchmates, and was a great source of entertainment. 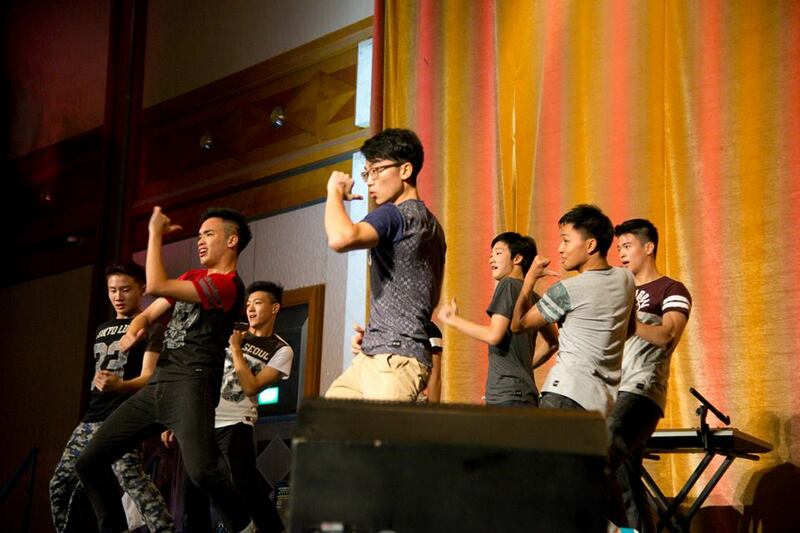 Tyronne Toh and Simon Tang even performed a spot-on cover of SNSD’s “Hoot” together, showing that both were performing out of a love for dance and treated it as nothing more than a friendly competition. While Pageant votes were placed and dinner was served, Y5 band Ampersand took the stage to perform “Hero” by Mariah Carey and “Feeling Good” by Michael Buble – appropriately upbeat and optimistic songs to enliven the mood. Subsequently, the results of the lucky draw were announced onscreen, and audience members were also treated to a surprise dance item by a group known as Legion, comprising dance enthusiasts from an assortment of CCAs like Bowling, Basketball, Modern Dance and Street Dance. Afterwards, the Pageant nominees were up for the announcement of the voting results. 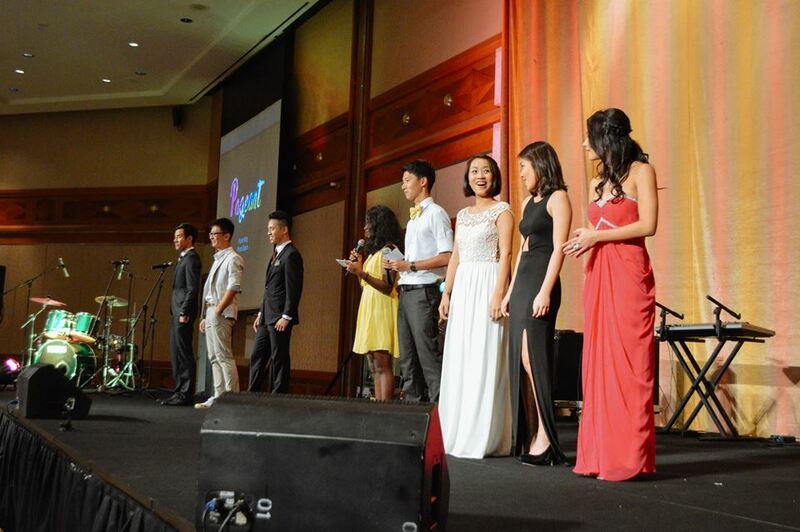 Ryan Sim and Kathleen Leong were crowned Prom King and Queen respectively. Meanwhile, Simon Tang took the title of Dance King, while Tan Min Ting snagged the honour of Dance Queen. To end off the night, the Y6s of Raffles Rock took the stage for the last time, capping off two years of performing as a batch in what was undoubtedly a poignant moment for them and their supporters offstage. The Possum Parade performed Ingrid Michaelson’s “You and I” and Toploader’s “Dancing in the Moonlight”. Additionally, Army of None did justice to their two years of Rock with powerful renditions of The Temper Trap’s “Sweet Disposition” and Muse’s “Feeling Good”. The talented performers gave their all and hit all the right notes throughout their segment, and drummer Safafisalam Bohari Jaon ended their final song with a literal bang, bringing an end to their batch’s graduation dinner. Army of None vocalist Jonathan Boey’s friends stage an intervention just as he reaches the chorus of “Sweet Disposition”. In the words of Ampersand, “tonight is all about living in the moment and being with friends you love and enjoy the company of”. As kings and queens were crowned, surprise prizes were won and the night’s revelries smoothly unfolded, we witnessed above all the sincere friendships and ties forged over the course of the J2s’ JC journey, which will follow many as they embark on the next chapter of their lives.